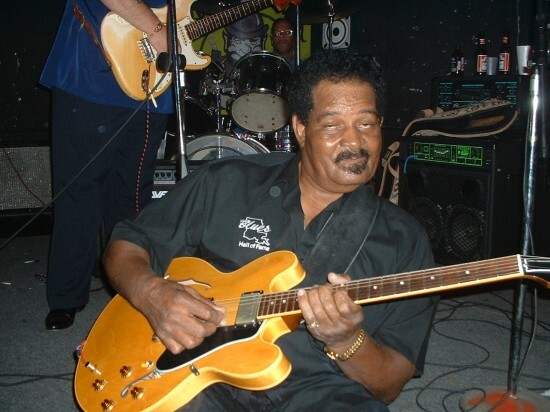 Ex-Slim Harpo guitarist James Johnson plays at Phil Brady's nightclub in Baton Rouge circa 2003. He'll be at this year's Ponderosa Stomp as part of the Excello revue. Baton Rouge blues giant James Johnson’s scheduled appearance at this year’s Ponderosa Stomp is perhaps one of the most highly anticipated performances in recent memory, especially because this amazing guitarist does not often travel outside Baton Rouge to perform. 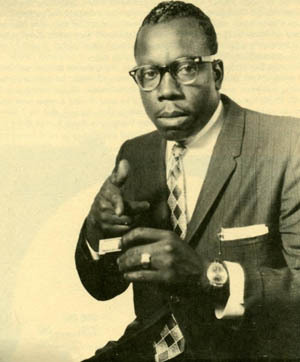 Don’t miss this Stomp performance by Johnson, who helped forge the Baton Rouge blues scene along with fellow titans like Raful Neal and Tabby Thomas. He’s a Buddy Guy-caliber guitarist who, unlike Guy, never left Red Stick to find his rightful fortune and fame. 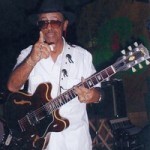 By staying put where the weather suits his clothes, he’s been able to serve as a mentor to younger generations of bluesmen, including Kenny Neal, Lil’ Ray Neal, Chris Thomas King, Tab Benoit, and more. To see the Ponderosa Stomp lineup as scheduled so far, click here. To buy tickets for the Stomp (Sept. 16-17), click here. For travel packages, click here.